In West, Central and also East Africa, Shea nuts are harvested by mainly women; from the Shea tree which is also known as the Karite (life) tree and they are crushed and ground to produce the raw Shea butter that is so loved by many for food, making soap, candles, ointments and also as a moisturizer for skin and hair. Although I heard about Shea butter some two years ago, it’s only recently that I managed to land my hands on a jar of raw Shea Butter from Kenya. Today I want to share with you what I experienced and also researched on the benefits of Shea Butter. Termed, “women’s gold”, as it provides an only source of income for many women let alone households, raw Shea butter contains primary fatty acids which are, palmitic, stearic, oleic, linoleic and arachidic. Stearic and oleic acids which are often listed as the constitutes of vitamin F, make up 85-90% of the fatty acids in Shea butter and are the main properties responsible for all the soothing, hydrating and revitalizing the skin/scalp and hair. How Does Shea butter benefit our skin and scalp? My skin is very dry and for some time I found it very difficult to keep it moisturized throughout the day to the extent that even as a young girl in school, my hands and feet looked all creased up without much elasticity due to the excessive dryness. I only found relief when I started using a Nivea Lotion that has Shea butter in it. 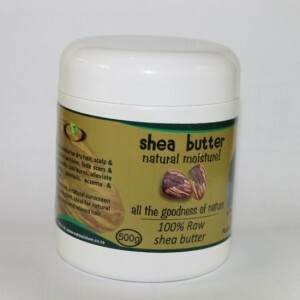 When I got raw Shea butter, I was confident to use it on my skin as well and I was not disappointed by the results. Shea butter is really great for dry, dull looking skin. In general though, Shea butter can be used to soothe sores, moisturize dry skin/scalp, soften wrinkles and promote cell renewal, fade scars and stretch marks, cool burns, alleviate dermatitis, psoriasis, eczema and dandruff. Shea butter is particularly good because it melts easily at body temperature and is easily absorbed by the skin/scalp so it does not clog pores or leave a greasy residue on the surface. Yoh! I say that’s a lot of benefits to be all contained in one product. Even if you are not a product junkie but experiencing some of these problems on your skin or scalp, why not give Shea butter a chance because really, it cannot be any worse that it is now without trying and besides I don’t know of any side effects for topical applications. Shea butter is also good for our kinks in a number of different ways. Because it is rich in Vitamin A, E and F, it contains fatty acids which combat dryness. Besides helping in sealing in the water moisture into our strands, Shea butter also penetrates the hair shaft keeping it lubricated in place of the sebum which is supposed to naturally lubricate our hair but because of its coyly/zigzag nature of our strands, finds it difficult to reach the whole length leaving the tips of our hair dry and brittle, rendering them to be prone to chronic breakage. Wow! That’s a long sentence. But yah, our hair actually benefits a lot from an oil or butter that does not just sit on the surface like petroleum based hair foods but literally penetrates the hair shaft to lubricate the hair. Shea butter is also known to contain properties that can shield our hair from harmful ultraviolet radiation from the sun making it a natural sunscreen for our hair. I also noticed that some hair vloggers on You Tube use Shea Butter as a heat protectant when heat styling their hair. Dailyglow.com actually claims it mends split ends. Wouldn’t that be lovely? I know, many say split ends cannot be mended which I “kind of” believe, but wouldn’t it be nice to have a product that can actually do that? Mend split ends? Check out my post on how my hair responded to raw Shea butter and all I can say is the product is amazing and though I used to use Hair Butter with Shea butter from Restore Plus hair line, although a very good product especially when doing the mini twists, I like raw Shea butter much more because I know and am in control of all the ingredients that will get onto my hair and I can use it to moisturize my skin as well which becomes cost effective. Where did you get your Shea butter from? Hey Zann. Thanks for coming by. I got mine from a health shop in Fourways, Johannesburg called Neal’s Yard. Natural Sisters is also working at supplying it to the whole of Southern Africa so watch this space. I live in Durban and had been trying to get Shea butter for the longest time after seeing it on numerous youtube videos. My eldest daughter has a Kenyan friend who brought some from home for her and I just got it a few days ago. I can’t wait to use it but I want to work out the best way to use it seeing as it is such scarce commodity in this province. It will be servicing three heads, my two youngest daughters and myself as my eldest has her own. I am a mum of three girls and we are all naturals, I am still awed by how well our 4c hair grows when cherished. My youngest two have been natural since 2013 and their hair is now armpit length.